Inside a small church in a poor neighborhood, something unusual is happening. Officer Ted Shotgun sees expensive cars in the parking lot and drug addicts coming out of the church, and he is determined to investigate the situation and shut down any illegal operation that may be taking place. He hates religion and all that goes with it. Pastor Stronghart is a person who loves people and has a desire to help everyone. He runs his church with the help and guidance of God, trusting Him for for everything. His life is his testimony, and his effect on others is not unnoticed. When these two men meet, the truth is bound to set them free. 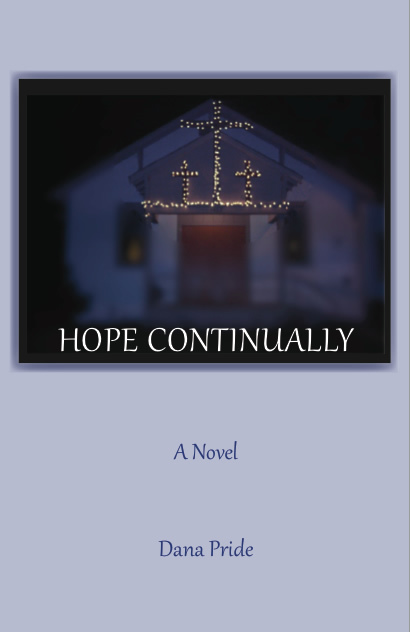 HOPE CONTINUALLY is my 10th novel, a labor of love, dedicated to my husband.